Penticton, BC: The Penticton Vees (32-13-1-2) are back on home ice for the first time in two weeks, looking to kick off another winning streak as they host the Wenatchee Wild (27-17-2-3) at the South Okanagan Events Centre. Penticton saw its eight-game winning streak come to a screeching halt Sunday afternoon, dropping a 4-2 game to the Nanaimo Clippers. 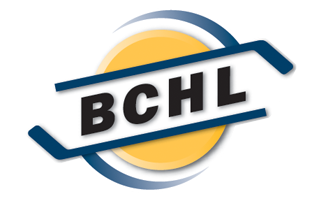 Lukas Sillinger scored both goals, his third and fourth of the weekend to go along with an assist, and would later be recognized as an honourable mention for BCHL player of the week. The Vees had a tough time generating sustained pressure Sunday afternoon, falling behind 2-0 early in the second period. Trailing 3-1 after 40 minutes, the Vees felt perhaps unlucky as they hit three goal posts in the middle frame. The Clippers tallied just 40 seconds into the third period before Sillinger notched his second of the game with 50 seconds remaining to make the final score 4-2. 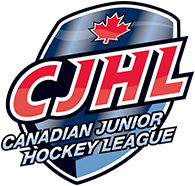 The Vees finished their Island Division swing with four of a possible six points and hold a five-point advantage over the Merritt Centennials heading into the weekend. The Wild wrapped up an eight-game home stand Saturday night, dropping a 2-1 shootout to the Chilliwack Chiefs. Wenatchee, wildly successful on home ice, lost the last four games of the home stand and now play just three of their final nine games at home. Wenatchee did snap its losing streak however as they went to the Nicola Valley Memorial Arena Wednesday night and took down the Merritt Centennials 3-2. Matt Gosiewski scored twice to help the Wild get back in the win column. The win was big for the Wild, but also for the Vees who are trying to fend off the Centennials in the standings. Wednesday’s game was one the Centennials had in hand on Penticton, and with the loss sit five points behind the Vees with 10 games to play. Friday’s game is the fifth meeting of the season between the Vees and Wild, the most recent of which was the first win Penticton picked up. January 16 Jack LaFontaine made 37 saves through regulation and overtime before stopping four of five in the shootout to secure a 3-2 win. The season series wraps up February 20, the final Wicked Wednesday of the season for Penticton.